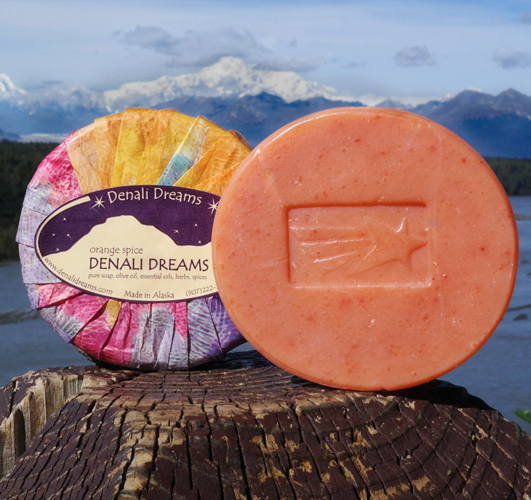 This spicy soap was named after the majestic mountain known as Denali, meaning the “the Great One”, which also inspired our company’s name. Some of our favorite scents sweet orange, cinnamon, and clove were combined with paprika to create a color that reminds us of the beautiful sunrises and sunsets that we get to see on the mountain. This is one of our most popular scents with both men and women.